There’s nothing in the bathroom quite so beautiful as sparkling shower doors! But at the same time, there’s nothing that will ruin the beauty of your bathroom quite so much as a gross shower door. Once you have a brand-new, sparkling shower door, how do you keep it that way? If you have hard water, you know it isn’t easy! 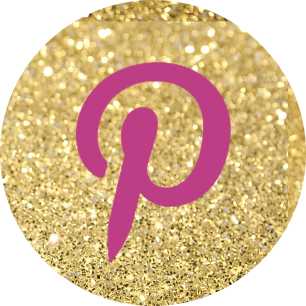 But today we have the best tips to help you keep those sparkling shower doors forever. It won’t happen without a little bit of effort, but there is a way. Stick around! If you’ve got shower doors that already have hard water spots on them, the first thing you need to do is clean them. My favorite way to do that might surprise you. 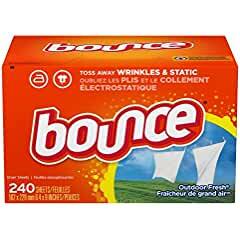 Have you ever heard of saving your used dryer sheets? I use them on my glass shower doors to quickly and easily wipe away hard water spots. No cleaner is necessary! Wet a used dryer sheet or two with warm water. Use the dryer sheets to wipe away the hard water spots on your shower doors. You might need to use just a little bit of elbow grease, but not much. Now rinse with warm water and see what you get! 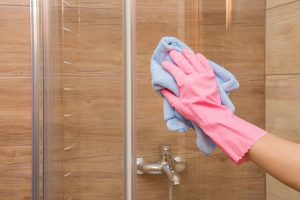 Another way to get sparkling shower doors is to try an easy homemade solution that works great at cutting hard water and soap scum. Heat some distilled white vinegar, and add an equal part of Dawn dishwashing soap. Use this solution with either a microfiber cloth or a magic eraser to thoroughly clean your glass shower doors. 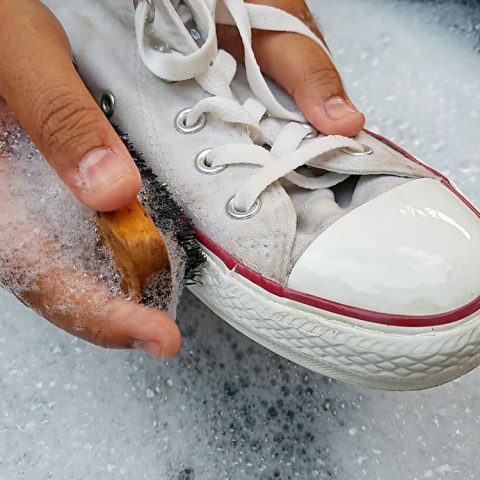 Now you can work on keeping that sparkling clean for more than a day! 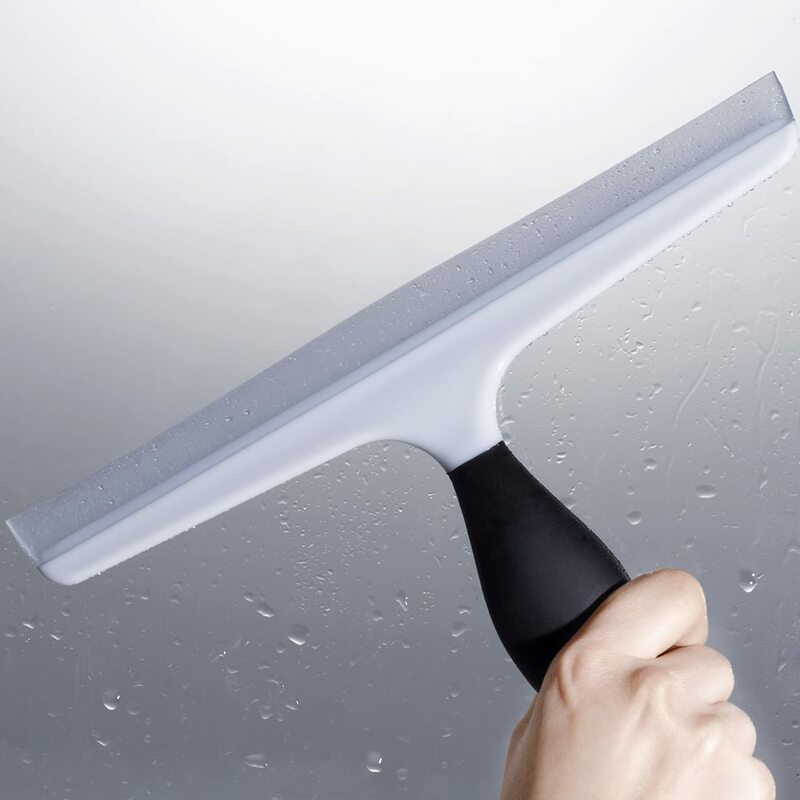 A squeegee should be your top secret weapon to help you keep your glass shower doors sparkling clean. If you don’t have one, you can purchase the Amazon’s Choice OXO Good Grips All-Purpose Squeegee. Make a habit of squeegeeing your shower doors at the end of each shower. That will go a long way! 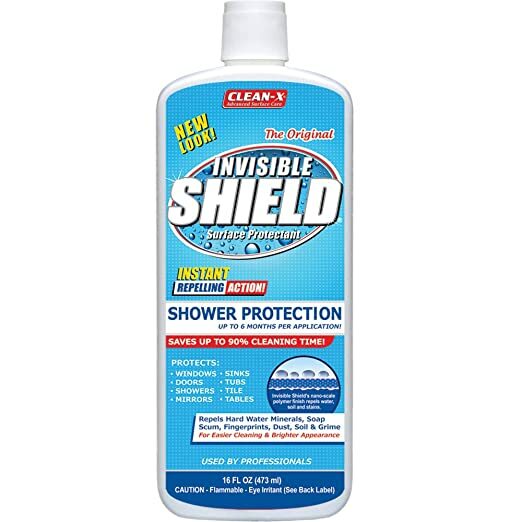 Another top secret weapon in the war against hard water on glass shower doors is Invisible Shield Shower Protection. 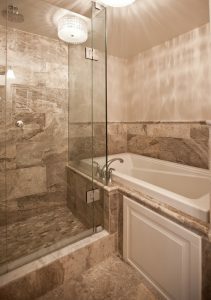 Once you have sparkling shower doors, apply a thin layer of Invisible Shield to the glass. It repels hard water, soap scum, fingerprints, and more! If you want to cut your shower cleaning time to as few as two or three times per year, you should try this product. If you use this product and are good about squeegeeing, you will get and keep sparkling shower doors! 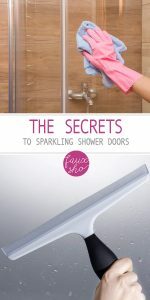 Do you have any other tips for sparkling shower doors? Please share with other readers in the comments!